A PhD-level Shakespeare scholar has spent many years of her career working with convicted murderers to explore their thoughts on revenge, honor, and other higher-level concepts as presented in Shakespeare’s works. The men were encouraged to think about the events and scenes in relation to their own lives. They were asked whether different characters’ responses to certain acts were reasonable, and they were asked to explain their reasoning. This experience with formal education led to many personal breakthroughs for them. Imprisoned at a young age, before the age of legal adulthood, before really grasping these higher-level ethical concepts, they have no chance of returning to the real world. Now that they have finally learned to go beyond basic literacy (reading words off a page), to analyze what they read and apply it to their own past—they will never have the chance to put their new-found social and moral skills to use beyond the controlled environment of a prison. This is not a “new” problem. 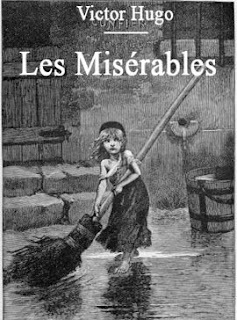 Consider the similar tragedy in Les Misérables, by Victor Hugo. * For those unfamiliar with the basic plot, it is huge work of social commentary (i.e., based on real life) threaded with the story of the fictitious character Jean Valjean. He steals a loaf of bread to help his family and is thrown in prison. He gets out of prison, then steals silver from a priest to kickstart his new life (since no one would hire him or otherwise welcome him back into society… a conundrum not unheard of today, too!). Valjean becomes a productive member of society, but he never escapes his past—he is persecuted in the real world by a police inspector, and in his own mind by his regrets. How different these lives, both real and fictitious, would have been if 1) they had known how to find alternative, legal solutions to their problems by analyzing existing literature, and 2) they had avoided entering a prison system that persecutes rather than heals. There are some interesting initiatives out there for you to build legal literacy and help others learn. Margaret Hagan, recently featured in the ABA Law Journal, runs a site called LawDojo and started the Open Law Lab, too. If you are a visual learner, I recommend both those sites. How do you educate clients, friends, colleagues, or yourself about different legal concepts? What can you do to help others become more literate using your current skills?